Don't want to have your feet come off the pedals but don't want to wear special cycling shoes? Helping you avoid the hassle of special shoes, the Power Grip straps hold your feet securely on the pedals while wearing your favorite pair of sneakers. A favorite option on many recumbent bicycles and trikes. To use, just put your feet through the straps at an angle. When your foot straightens out the straps lock against your shoe. Simple and effective. 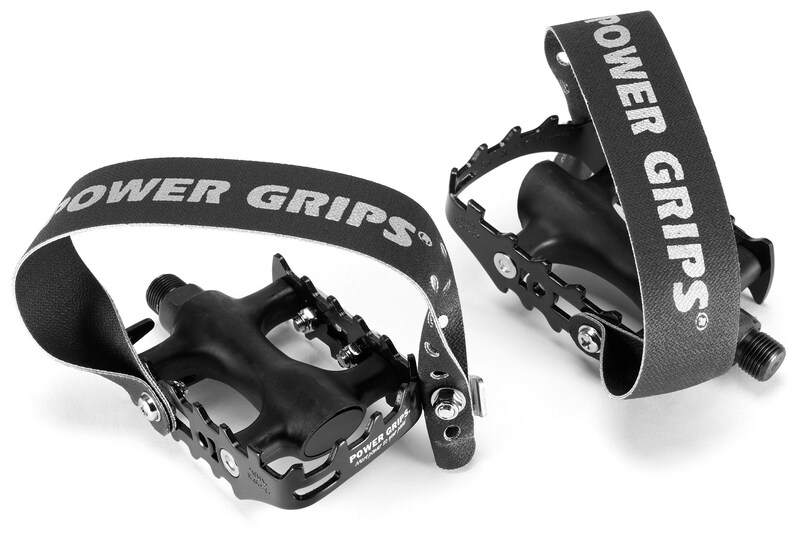 Power Grips Sport Pedal and Strap Set come with straps attached to a pair of quality, metal cage pedals. 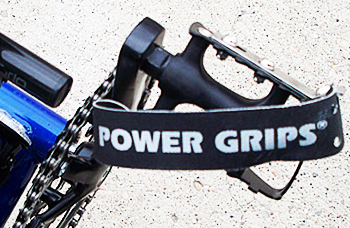 Power Grips provide a hands-free, easy route to increased power for all levels of mountain bike, road and recumbent riders. No special shoes required. "Just been riding for 2 weeks now and already my foot has slipped. OUCH"
"I have big feet and can use power straps with out spending a lot on special shoes." "power grip increases efficiency. " "It is an inexpensive, easy to install and use, upgrade that is immediately noticeable in speed and comfort improvement."